In sizzling summer days, the swimming pool gives us enough reason to cool down, but be careful this fun can be dangerous for your four-legged family members. There are a few safety measures that you need to consider in order to keep your pup safe around the swimming pool. 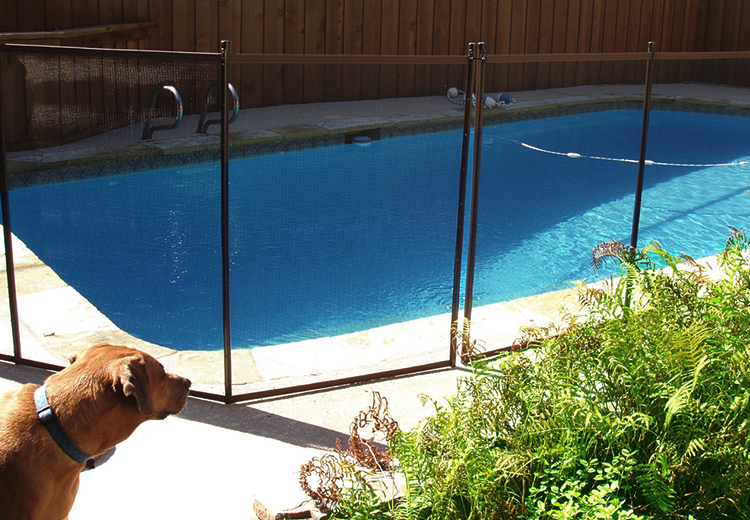 You can also cover your pool with special safety cover to block his access to the pool. Always, make a wide choice for cover which tightly anchored to your entire pool. Here, it is also necessary often to check the cover for any holes or wear over time. With a pool cover, you can also keep your pool clean and debris free. You can use a kiddie pool if you have a little pup. So whenever you are in pool to cool off, he can also enjoy the water in a more relaxing environment. But if you have a large dog, you can leash your dog with the tree near pool. In this way, you can simply enjoy outside with your dog. Teach your dog some pool safety commands to avoid the pool. This is good practice to protect him from any accident. So, always train him to avoid drinking water from pool or running near the pool area. It may be good safety command if your dog is well-trained and obedient. To stop your dog going into the pool, you can also invest in a floating pool alarm which detects waves on the surface and alerts you if there is any movement in the water. It has an adjustable sensitivity that you can set according to your needs. 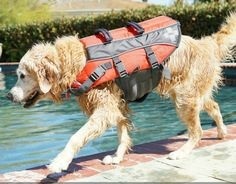 So, what can you mostly prefer to prevent your dog from flying in your swimming pool when you’re away? Well, the choice is up to you, whether you built a physical boundary or behavioral boundaries for your dog. With these various precautionary commands, you can enjoy the backyard pool more safely and gently with your entire family.